• Maximum visibility for information and guaranteed impact for product sales and promotions. • Neon yellow, great for information that needs to stand out. • Ideal for labelling products, packaging and brochures highlighting new or special information. 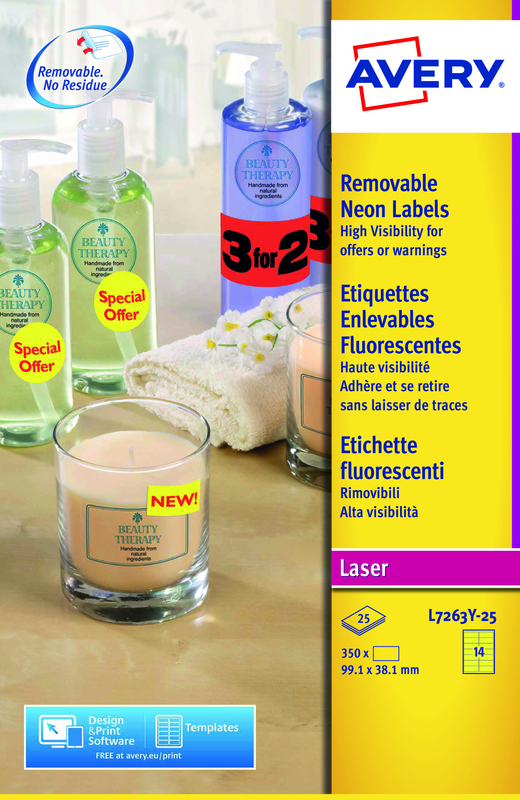 These Avery neon yellow labels are perfect for warning labels, pricing, barcodes, return addresses and more. For use in laser printers, the labels feature removable adhesive, perfect for temporary labelling. Each high visibility label measures 99.1 x 38.1mm. 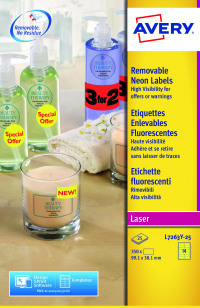 This pack contains 25 A4 sheets, with 14 neon yellow labels per sheet (350 labels in total).